If you are a sincere seeker of truth, you realize that something within you is constantly pushing you from the nest. You know the answers you seek do exist somewhere in the world. This inner force that pushes you to find the answers is an urge you have no control over. You are Soul, a divine spark of God on a journey homeward. The very heart of the doctrine of ECK is love. This love is that divine essence which unites all reality and brings together all Souls. The higher Soul goes into the other worlds the greater this becomes. Love is the bond which holds the worlds together. You are warmly invited to the heart-opening experience of the 2019 ECK Springtime Seminar, Shining Your Light as Soul, a three-day seminar from April 19–21, 2019, in Minneapolis, Minnesota. The spiritual focus of the seminar offers many inspiring ways for you to recognize and accept more divine love and allow it to transform your life. Enjoy a wide variety of roundtable discussions, insightful workshops and talks, and original creative-arts performances. 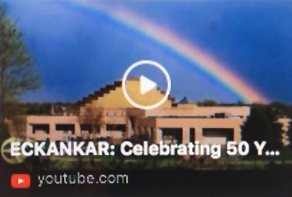 Focus on the gifts of divine love from the heart, as you explore the ancient spiritual principles and tools of the teachings of Eckankar. ECKANKAR in Serbia informs you about the ECK seminars in the neighboring countries and the main ECK Seminars. Visit the Events page.